Whether you live in a city or the countryside, at some point you’ve probably stopped to marvel at the night sky. But how do you know what you’re looking at? If you want to get a bit more intimate with the skies, here are 13 tips from astronomers for taking your stargazing to the next level. 2. Invest in a red flashlight. If you need some kind of light so you don't fumble in the darkness (or fall off a roof), get a flashlight with a red filter. “Red light does not have the same effect on eyes as does blue or white light,” says Kendall. You can create your own red flashlight by covering your cell phone with red cellophane or paper. 3. Don’t buy a telescope (yet). Newbie stargazers are often tempted to stock up on high-tech tools. Don't. “It’s a very common mistake,” says Jose Manuel Zorrilla Matilla, a Ph.D. astronomy student at Columbia University. “But people get frustrated because it’s tough to use, and the things they’re seeing don’t resemble anything yet.” He says it’s best to get to know the night sky first, identify a few anchor objects like planets or constellations that help you navigate the sky, and then buy a telescope. 4. Start with binoculars instead. They’re a good middle ground between the naked eye and the massive magnification of a telescope, and you’ll be surprised by much detail they can provide. Use your binoculars to get a close-up of the moon and its craters. They don’t have to be expensive, either. “Cheap binoculars from Target are just fine,” says Kendall. 5. Know when to look. If you can brave the cold, the sky is at its best on crisp, clear winter nights when there’s no humidity in the air. Summer evenings tend to produce haze and blur the view. Generally, the best time for stargazing is when the moon is in a crescent or gibbous phase—or when it’s not present in the sky at all. “When the moon is full, there’s so much light that it washes out everything else,” says Zorrilla Matilla. Also, the waxing or waning phases are when the moon’s shadows best reveal its spectacular texture in great detail through binoculars or a telescope. The moon sometimes gets overlooked, but it is a great object for city dwellers who might not be able to see the more distant stars and planets through light pollution. 7. … And a few good apps. But Faherty isn't against using apps. She teaches with Stellarium. “It’s excellent,” she says. “It lets you see the positions of the planets, set your location, move the horizon.” It also has a red night mode, to keep your phone's white light from interfering with your eyes' ability to adjust to the dark. Starwalk lets you point at the sky and see what’s up there in real time based on your location. See something interesting? Tap on it to get more information. It’s free to begin with, but you can pay to upgrade to more features. Google Sky Map is basically Google Maps, but for space. Its data is pulled from a wide range of sources, including the Sloan Digital Sky Survey, the Hubble Space Telescope, and NASA's Chandra satellite. Exoplanet is a bit more advanced and “does a little bit of science for you,” Faherty says. This interactive catalog of all known exoplanets (planets orbiting stars beyond our solar system) is free to download and updated every time a new exoplanet is discovered. 8. Look for the International Space Station. “It’s not always going to cross your sky, but when it does happen, it’s really fun,” says Faherty. NASA has a website dedicated to tracking the ISS. It tells you when the next sighting is in your area, where in the sky it will be and for how long. If you want something a bit more immediate, you can watch it move around the world in real-time here. At the time of writing, the ISS is moving at a speed of 17,139 mph. 9. 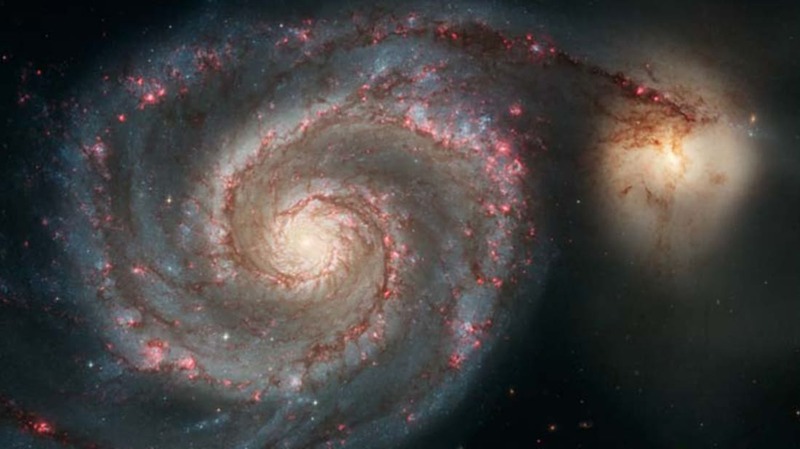 Follow astronomers on Twitter. “I think Twitter is an excellent forum for getting astronomy information,” Faherty says. “I always tweet events that are happening and are visible. There are a lot of astronomers on Twitter, so following them is a good idea.” Here’s Faherty on Twitter, and a few helpful lists. 10. Find your local amateur astronomer’s club. 11. Admire the Milky Way. Kendall says the best way to view the Milky Way is from a dark spot with no streetlights for at least 20 miles. “Look straight up at 11 p.m. on summer nights,” he says. 12. Learn to differentiate between planets and stars. If a bright light in the sky sparkles, it’s a star. If it doesn't and appears stationary, it’s a planet. If an object is much brighter than those around it, there's a good chance it's a planet, says Faherty. Also, if you can spot two planets (or the moon and a planet) and trace a line in the sky between the two, you’ve identified part of the ecliptic plane. This is the path the sun appears to take when rising and setting. If you continue to trace this line across the sky, you’ll probably run into several of the planets, as they follow this same path. 13. Use your eyes—and imagination. There are so many high-tech tools to help us navigate the skies, but astronomers still recommend foregoing them every once in a while and just gazing up with the naked, unaided eye. This is how our ancestors saw the sky, and over thousands of years, it’s barely changed. Try to spot the characters in the sky, such as Orion the hunter or Scorpius, Faherty’s favorite. “I think it’s the most gorgeous constellation,” she says. “It really does look like a scorpion.” With enough practice, eventually you’ll know the characters in the sky by heart.